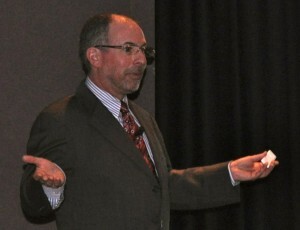 The 2012 Ben E. Keith Market Place Food Show drew the largest crowd for a keynote address in the company’s history. Keynote speaker, Warren Ellish, provided the attending restaurant and hotel operators with new tools to have an immediate impact on building their local businesses into world class brands. Garcia’s Kitchen, a Albuquerque tradition since 1975 with seven area locations, was the winner of the keynote door prize. The Garcia family and members of the management team received an afternoon of branding and marketing consulting with the keynote speaker, Warren Ellish, President and CEO of Ellish Marketing Group and Senior Lecturer at Cornell University’s Samuel Curtis Johnson Graduate School of Management. The 2012 New Mexico ProStart competition, in conjunction with the New Mexico Restaurant Association, also took place at the Market Place Food show. The competition attracts top high school students from around New Mexico who are enrolled in the ProStart Program at their schools. These students have proven their skill and commitment to the hospitality industry through vigorous coursework and on-the-job training. 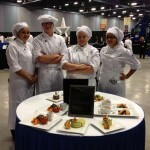 First place teams move on to compete at the National ProStart Invitational. The teams did a great job showcasing their talents. Warren Ellish, President & CEO of Ellish Marketing Group will be the keynote speaker to kick off the 13th annualBen E. Keith 2012 Market Place Food Show. The annual event will be held on Wednesday March 28th at the Albuquerque Convention Center starting at 9AM. 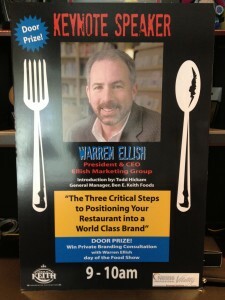 Warren’s keynote will be “The Three Critical Steps to Positioning Your Restaurant or Hotel Into a World-Class Brand.” One Ben E. Keith 2012 Market Place Food Show attending Operator (along with his/her management team) will have the opportunity to win a brand positioning consultation with Warren Ellish to be held later in the day. The winner will be chosen at the conclusion of Warren’s engaging keynote address. The Food Show also features ProStart culinary competition, creating tomorrow’s foodservice leaders. Ben E. Keith is the eighth largest major full-service institutional food service distributors in the nation, with seven branches. The Albuquerque branch, the host of this event, is the youngest of the seven branches.